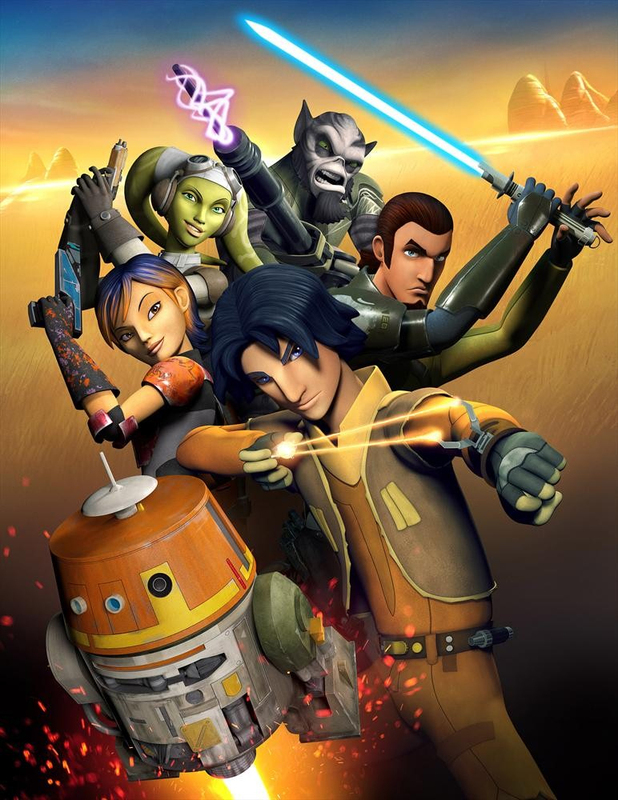 This Friday, the rebellion comes to Family Channel with the premiere of the highly-anticipated animated movie Star Wars Rebels: Spark of Rebellion. Debuting Friday, October 3 at 9 p.m. ET/PT, day-and-date with Disney Channel in the U.S., the action-packed adventure takes viewers on an incredible journey to a galaxy far, far away, ahead of the series launch on Disney XD on October 19. Guaranteed to be a television event for the entire family, the epic evening kicks off at 6 p.m. ET/PT with brand new episodes from the network’s top series and includes an exciting sneak peek at the hilarious Disney XD comedy Kirby Buckets. Set between the events of Star Wars Episodes III and IV, Star Wars Rebels: Spark of Rebellion begins at a dark time in the galaxy as the Galactic Empire tightens its powerful grip. Imperial forces have occupied a remote planet, while the motley and clever crew of the starship Ghost is amongst a select few who are brave enough to stand against the Empire. Together, the dynamic team will face threatening new villains, encounter colourful adversaries, embark on thrilling adventures and become heroes with the power to ignite a rebellion. Beginning October 19 the series, Star Wars Rebels, will air regularly Sundays at 8 p.m. ET on Disney XD. Star Wars Rebels: Spark of Rebellion will be available on Disney XD OnDemand beginning October 28. Part of a must-see Friday night lineup, Star Wars Rebels: Spark of Rebellion headlines an exciting evening of non-stop programming the entire family will enjoy. The fun begins at 6 p.m. ET/PT with a brand new episode of Liv and Maddie, followed by the fan-favourite drama, The Next Step, at a special time. The action heats up at 7:05 p.m. ET/PT with a special presentation of The Incredibles, the animated feature film about a family of undercover superheroes who are forced into action to save the world. Immediately following the main event, viewers will be treated to a 5-minute teaser from Kirby Buckets, a new comedy series following the outrageous adventures of a young aspiring animator set to premiere on Disney XD on October 26. Star Wars Rebels is created by Dave Filoni (Star Wars: The Clone Wars), Simon Kinberg (X-Men: Days of Future Past, Sherlock Holmes) and Carrie Beck. The Lucasfilm Animation production is also executive-produced by Filoni and Kinberg as well as Greg Weisman (Gargoyles). This entry was posted on Monday, September 29th, 2014 at 10:59 am and is filed under National News, New Releases. You can follow any responses to this entry through the RSS 2.0 feed. You can leave a response, or trackback from your own site.